Didactic design for educational purposes. Including A/D-converter, software with intuitive control, temperature sensor, measuring resistor V, A and a temperature measurement. Choice from standard measurement and pre configured measurements. 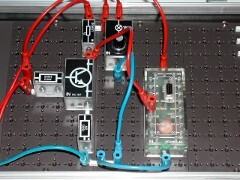 The Edutec Datalogger supports the VMBO program electric engineering: K15. K16, K17 and K20, The books from EPN and Thieme-Meulenhof are also supported. 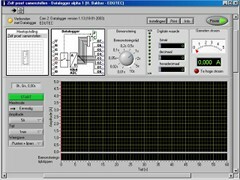 The Edutec Datalogger is a didactic tool with the features of an industrial data logger. 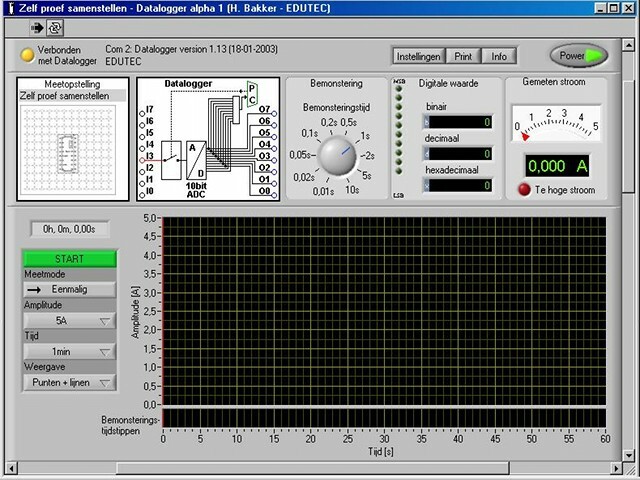 Integral design with recognisable functionalities: measuring object, A/D-converter, PC-connection, screen control, measuring guidelines. 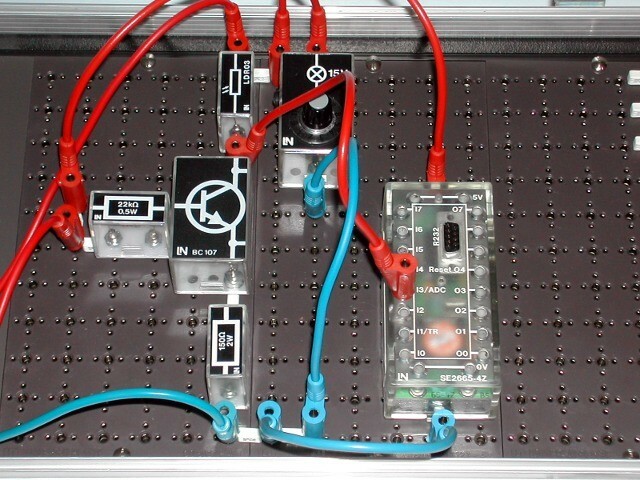 Measuring voltages, currents and temperature with one device. Comprehensive manual with explanation of how a data logger works, A/D-converter, de measuring methods, de measurement circuitry and applications. A/D converter, 5V, 1 analogue input, internal + external trigger, 8 bits output. Manual, integrated standard training assignments. Drawing and design set for making custom measuring circuits.